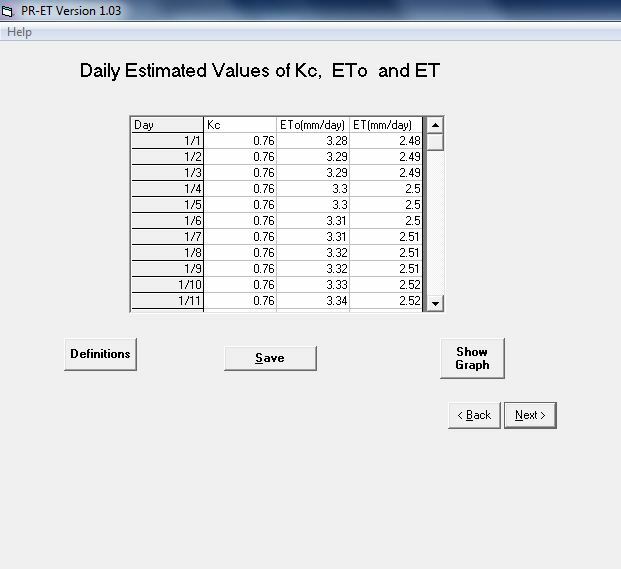 PR-ET Version 1.03 calculates the mean daily crop evapotranspiration at any location in Puerto Rico. With only the site latitude and elevation, and specification of the Climate Division, the program calculates all the climate data necessary as input to the Penman-Monteith reference evapotranspiration method. 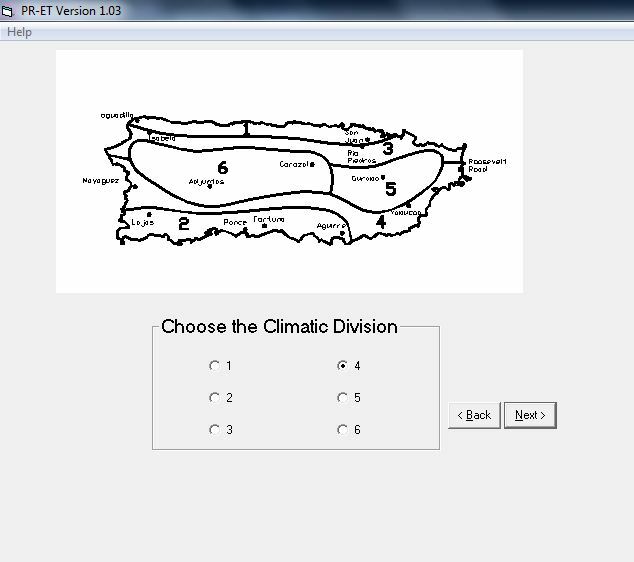 Alternatively, the user can enter mean monthly climate data manually into the Windows-based computer program. In this mode the program can be used anywhere in the world. 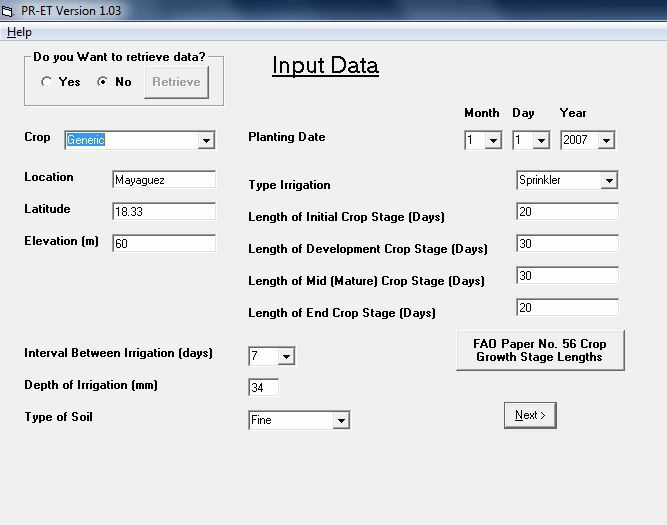 The program currently includes crop coefficient data for fifteen vegetable crops.